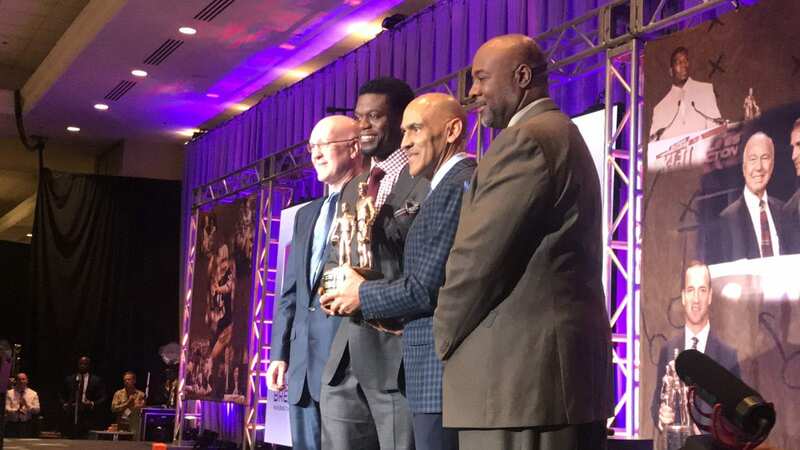 Baltimore Ravens tight end Benjamin Watson received the Bart Starr Award on Saturday morning at the NFL’s Super Bowl breakfast in downtown Minneapolis. Congrats to @benjaminswatson on winning the Bart Starr Award at the NFL'S Super Bowl Breakfast! Upon receiving the award from former NFL coach Tony Dungy, Watson thanked many people including the Ravens, the Starr family as well as his family. At the end of the program, Watson was asked to come forward and present the Gospel to the 1,700 people that attended the event. Following Watson’s presentation of salvation, he closed in prayer and a call to respond for the audience was provided on the two large screens next to the stage. The event, sponsored by Athletes in Action, featured Vikings QB Case Keenum, as well as Dungy and CBS Sports studio host James Brown, sharing their encouragement with the audience.